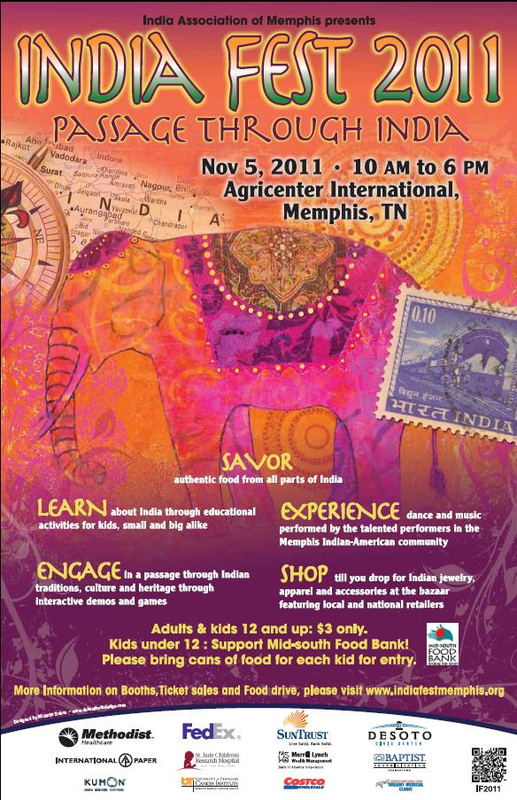 Dishesfrommykitchen: INDIA FEST 2011 IN MEMPHIS !!! INDIA FEST 2011 IN MEMPHIS !!! 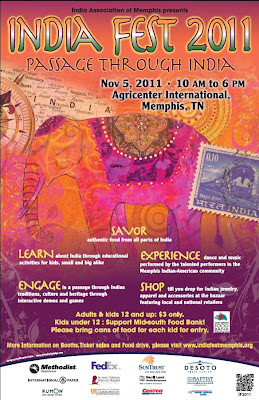 Here is exciting, engaging, fun filled day exploring India at the India Fest on November 5th (10AM-6PM) at the AgriCenter, Memphis. The event will cover the bazaar with different vendors, distinctive food from 8-10 different states/regions of India, cooking demo to learn a new Indian dish, cultural performances and interactive activities to learn about various aspects of India and it's culture. In addition there will be a kids corner and an interactive area to explore India, where kids ranging from preschool to middle school can be involved in a variety of fun activities throughout the day. (1:00-1:30) FUSION – Chef Vish Bhatt, Snack Bar, Oxford, MS - 2010 Winner of MS Seafood Cook-off. Come and Have fun !!! Don't forget to stop in my Food Booth (Booth Name : Dishesfrommykitchen.com) as well !!! ROCK ON Girl!! all the best! Wow u rock gal..congrats Pavi.. I am happy to follow u dear.. Wish memphis is nearby pavi. I would have glad to visit your stall. Congrats! Your stall was the one and only stall that we enjoyed. Congrats! !